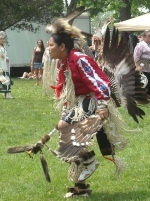 This blog is written largely for the benefit of non-Indians, readers who have no affiliation with one of the hundreds of federally recognized tribes, eleven of which are found in Wisconsin. I teach a course on federal Indian law at Marquette’s law school, and the questions that follow are just a few of the ones that I often encounter personally or hear in public discussions. Why Do Many Indian Tribes Have Casinos? Tribes are considered sovereigns, albeit to a degree different than the federal and state governments. The sovereignty of tribes generally prevents a state from applying its laws to reservations or other Indian land held in trust by the federal government. Even states like Wisconsin, which Congress has authorized to extend its criminal laws to most Indian land, cannot apply its non-criminal (i.e., civil or regulatory) laws to these Indian lands. Moreover, because the people of the state of Wisconsin amended their Constitution to authorize certain gambling while repealing the prohibition on lotteries, the state’s gambling laws can no longer be considered criminal in nature and cannot, as a result, be applied to Indian lands. It should noted, however, that Indian casinos, including their location and operation, are heavily regulated by federal law, often requiring the input or consent of state and local government. Why Do Some Indians Have Unique Hunting and Fishing Rights? Some tribes have treaty rights or other agreements with the federal government that guarantee access and enjoyment of off-reservation hunting, fishing, or gathering. These are property rights, typically reserved in the process of giving up vast tracts of territory, rather than forms of reparation or special treatment. As property rights, they are protected not only by federal statutes but also by the U.S. Constitution, just like the property rights of non-Indians. Indeed, were Congress to take these rights away, the Constitution would require the federal government to pay just compensation under the Fifth Amendment. Do Tribes or Tribal Members Pay Taxes? Tribes and tribal entities, being governments, do not pay taxes as such. They may pay contractual obligations, much like other governments do. Regarding tribal members, it is slightly more complicated. Tribal members pay federal income taxes on ordinary income, but whether they pay state or local taxes depends on what is being taxed. Specifically, tribal member land (like tribal land) that is held in trust by the federal government is exempt from local property taxation, though it should be noted that this trust status also imposes limitations, particularly on the sale of the land. The income of tribal members, living on their reservation, that is earned from the tribe or a tribal entity is also exempt from state income taxation, but income that is earned off of the reservation or is otherwise unrelated to the tribe is normally subject to state taxation. Why Does this Blog Post Use the Term “Indian” Instead of “Native American”? “Indian” is generally the preferred term among Indians themselves, despite its European (and geographically mistaken) origin. Also, while “Native American” may be a useful way of describing ethnicity or ancestry, “Indian” is the legal term describing one who is a member of a federal recognized tribe. Although there have been disputes in recent years regarding athletic mascots based on Indian characters (or caricatures)—some of which are often not opposed by Indians themselves—the propriety of using the term “Indian,” as opposed to “Native American,” is largely unrelated to these disputes. Postscript: The above, as noted, is just a sampling of the questions that get asked (or could get asked) about contemporary Indian tribes and their members. Comments, critical feedback, and of course additional questions are welcome. I wish Brazilian Indian Tribes had the same “powers” as American Indians have, not to exploit it commercially, but even so, it sounds more fair than Brazilian politics on Indians.